I did some data mining related to my iHasApp API project recently. 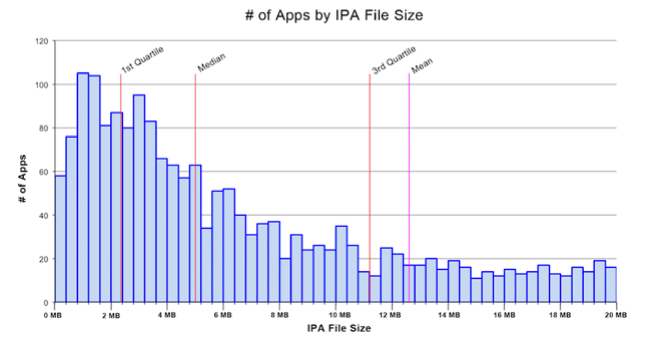 Specifically, on the Top 2000 Free iPhone apps (a whopping 25.28 GB of compressed data, and 1.5% of all available free apps). For more detailed information from my data mining, as well as a histogram at the end, see below. There is accompanying information for those who are curious as to how I attained said information. Just google the term next to each section heading.